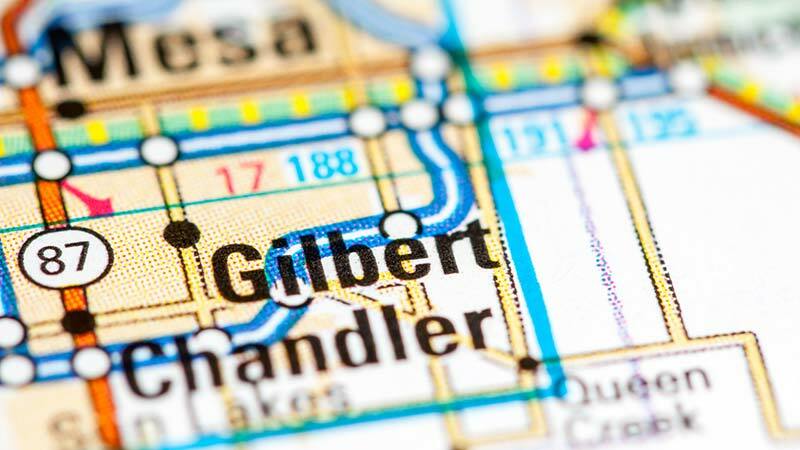 Gilbert, Arizona—A witness to a hit-and-run accident involving a pedestrian followed the suspect to his home and then confronted him. Officers with the Gilbert Police Department report that Christopher Shane Jones, age 42, struck a pedestrian in a crosswalk as he turned into his neighborhood near Warner and McQueen roads, then reportedly left the scene. When challenged by the witness, Jones admitted hitting the pedestrian, but continued inside his house and closed the door behind him. Jones later told Gilbert Police that he was an officer with the Union Pacific Railroad. The police report shows that, at first, Jones denied taking any drugs or consuming any alcohol. A blood alcohol test reportedly revealed his blood alcohol content was 0.210. Jones told police he was aware he hit the victim, but panicked and fled. Police found evidence of the victim’s blood and hair on Jones’s car. The victim suffered a compound leg fracture and a broken shoulder. Jones is charged with aggravated assault, DUI and leaving the scene of an injury accident. Police accident investigators have not released the identities of the victim nor the witness as their investigation continues. We wish a swift and complete recovery for the injured victim.